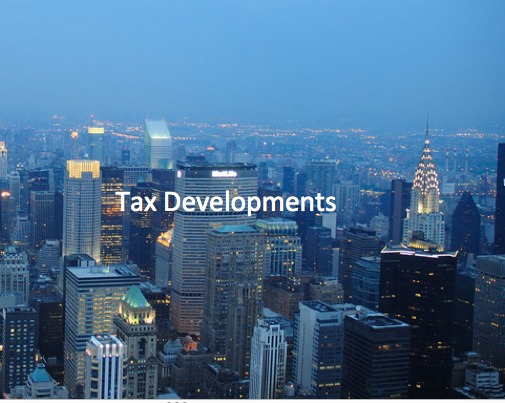 The new budget for the year 2015 signals an increase in the tax on businesses. The most important proposal is for investment partnerships that a partners share of carried interest income should be taxed as ordinary income. According to FACTA, foreign financial institutions (FFIs) have to register with the IRS and to report accounts to IRS or pay 30 percent withholding tax. The FFIs will communicate with IRS through a portal service where they will be allotted a Global Intermediary Identification Number (GIIN). In addition, compliance with intergovernmental agreements (IGAs) might also be required for these FFIs. An IGA is a means by which FFIs can comply with FACTA and it serves as an alternative to registering with the IRS. In addition, Expanded Affiliated Groups (EAGs) which are also FFIs, have to register with the IRS too. An EAG is a chain of corporations with a common organization as a parent. The rules can be cumbersome, which is why it is essential for investment funds to review their organizational structures. The investment funds have to carefully abide by the guidelines to ensure their compliance of FACTA is seamless. FBAR compliance is essential for citizens of US who have own or have control over an account with more than $10,000. All FBAR and Financial Crimes Enforcement Network (FinCen) forms must be filed electronically; otherwise, people will face criminal and legal penalties. Using the Form 114a, third parties can file the FBAR for their clients. Investment funds need to be mindful of these new changes about filing FBARs electronically because paper copies will no longer be accepted. The due date for filing the FBAR has been extended for certain people who have authority to sign but no financial interest in the account. Generally, non-US residents and foreign institutions were charged 30 percent tax on dividend income. In order to avoid this, investors enter into swaps or derivative contracts instead of having dividend paying securities. Total return swaps on US equities in particular aid in helping investors avoid withholding tax. Dividend equivalent according to the new rules includes payments made on Specified Notional Principal Contracts (NPCs), where the referenced security is transferred between the NPC counterparties. It is presented as collateral by the NPC counterparty or the security cannot be traded easily on the market. According to the Proposed Regulation, the way Specified NPCs and equity-linked instruments (ELIs) were identified will change. In order to find out whether the NPC or ELI is taxable, a derivatives delta is measured; delta refers to the ratio of change in the fair market value of the NPC/ELI to the change in the fair market value of the referenced property. Tax will apply on those derivatives with a delta of 0.70 or more. Instead of using the factor tests in the same way that the previous system used them, this new system proposes to treat cross-border equity derivative with high deltas as indicators of tax avoidance. Investment funds are advised to review the derivatives they execute before the start of 2016, in order to find out which derivatives will be subject to the withholding tax. According to the tax courts, there has been a contention regarding the trader status of people involved with investing funds. While traders buy securities for short-term profits due to price changes, investors buy securities for long-term increase in value. The definition makes a difference to firms because of the type of expenses, which can be deducted before tax. Specifically, full trade expenses can be deducted while only itemized expenses can be deducted from total investment expenses. By analyzing the number of days a person trades, daily trading activity, number of trades annually, holding period or securities and the amount of money exchanged courts can determine whether a person is a trader or not. If someone files their tax with the wrong information, they will also suffer accuracy-related penalties. This is why it is important for funds to know whether they qualify as a trader or not.